Answering the question, "What happens when a white teenager from Chicago’s Hyde Park befriends Muddy Waters, Howlin’ Wolf, and Little Walter?" 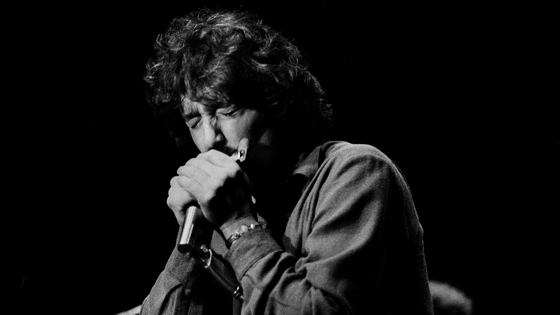 this electrifying documentary explores the fascinating and complicated life of Paul Butterfield, who some call the greatest blues harmonica player who ever lived. Most music fans have heard of Butterfield, but few understand his impact on modern blues and rock and roll. This electrifying documentary sets the record straight as it captures Butterfield from his early days as a wide-eyed kid jamming with his heroes to blowing his harp at the Monterey Pop Festival and Woodstock. The film combines astounding concert footage, scintillating rock-and-roll stories, and unexpected insights about the cultural barriers of popular music in the 1960s and ‘70s. Voice recordings of Butterfield along with interviews with family members and fellow musicians, including Elvin Bishop, Bonnie Raitt, BB King, and Maria Muldaur, paint a picture of a supremely talented, sometimes tortured artist who disrupted racial lines to bring the blues to a rock audience. Live music event to follow at Sweetwater Water Music Hall. Separate ticket required. Purchase tickets here. In association with The Golden Gate Blues Society.